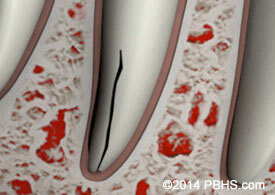 Will my tooth completely heal? 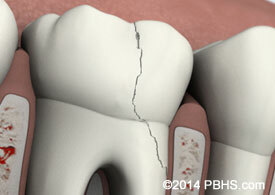 Unlike a broken bone, the fracture in a cracked tooth will never heal. 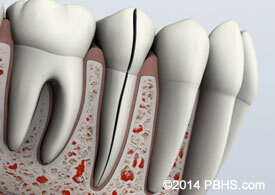 In spite of treatment, some cracks may continue to progress and get worse, which may result in complete loss of the tooth. Placement of a crown on a cracked tooth is essential as it provides maximum protection, however it does not guarantee success in all cases. The treatment you receive for your cracked tooth is important because it will relieve pain and reduce the likelihood that the crack will worsen. 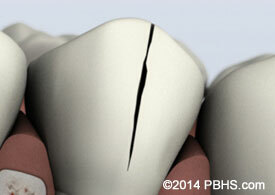 Once treated, most cracked teeth continue to function for years to come. 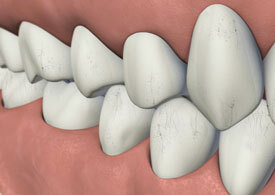 However it is common that patients describe that their tooth is different in its ability to function exactly the same way that it had before or like other teeth in their mouth.